Hello, lovelies~ I have been all over planners lately that it kinda flooded my instagram account. The planners that I am currently using is a Filofax Bond and a regular black notebook, which I have posted on my instagram account. The black one is used for my daily journaling, while the red one is for my daily schedule and tasks. 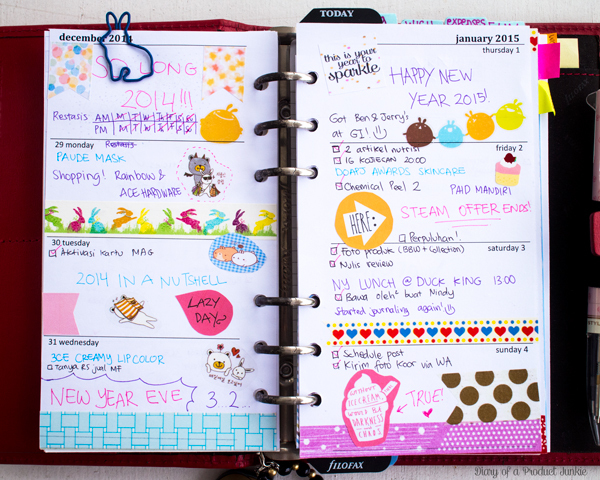 Using a planner like one from Filofax reminds me of my junior high school days. I used to clip photos of Jonathan Davis from a magazine and kept it in my planner. It just brings back memories. I found this old filofax from 2010, so I decided to use it. 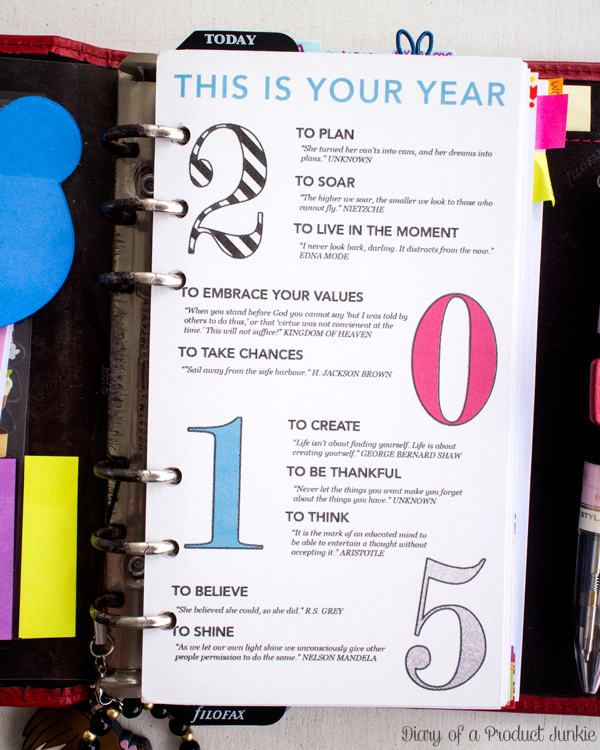 Today, I'm gonna show you how I setup my planner for 2015 to keep my life more organized and on track. 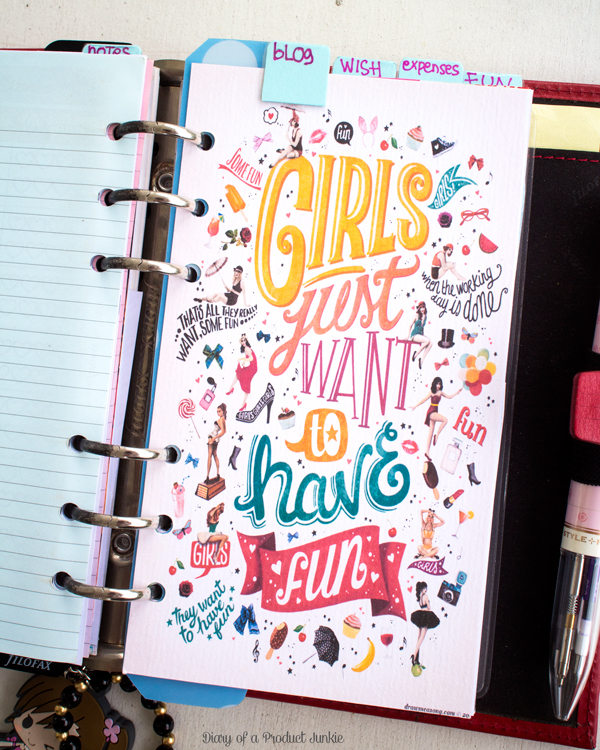 This is the first page I see every time I open my planner. Behind the transparent flyleaf that houses my post-its is a motivational page that I got from MissTrenchcoat here. It is a collection of quotes that helps motivate me when I'm feeling down. Once I'm done motivating myself, I opened my dashboard that is marked by the black filofax ruler. I have reminders on it to use my medicine and supplements. There is a mini calendar that I printed from Design is Yay, so I can see the dates without having to refer back to my monthly calendar. 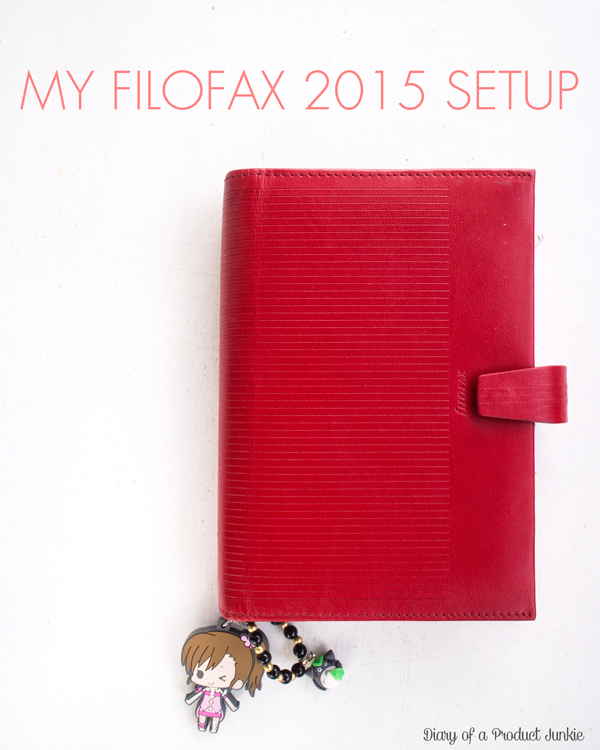 The layout that I plan on using throughout the year is the week on two pages that I printed from Philofaxy. 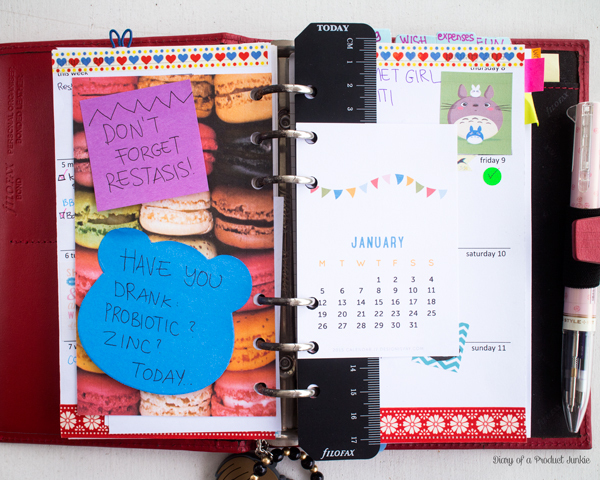 They have many planner inserts, especially for Filofax. 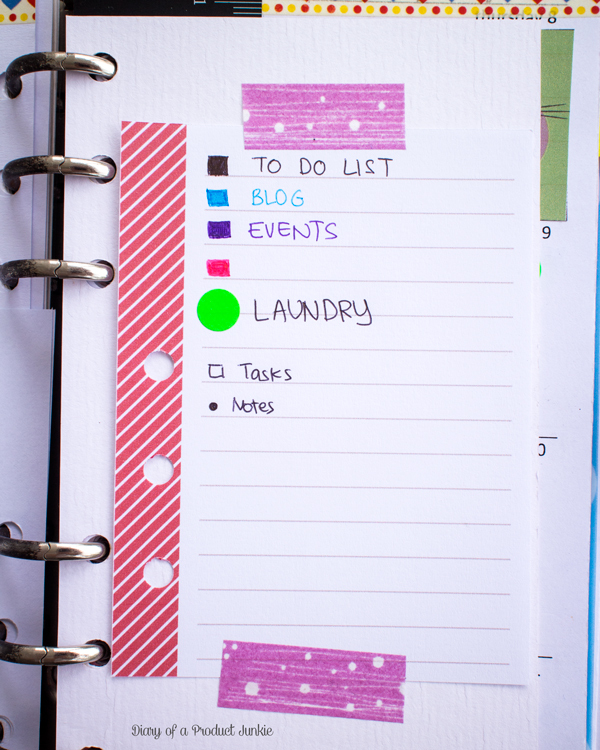 I like being able to note my tasks and events from that day. 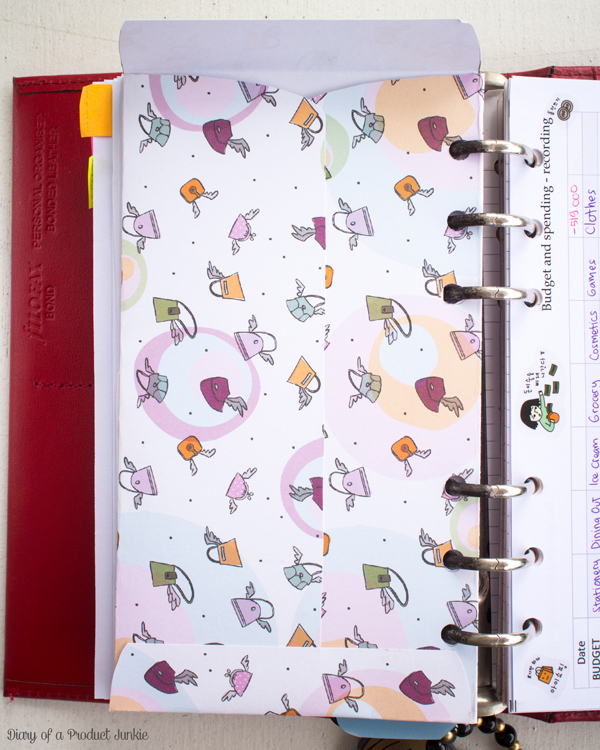 Moving on to the sections of my planner aside from notes is the blog section. I printed this fun divider from pinterest, I think it belonged to drawmeasong (originally). I haven't laminated my dividers yet, but I printed them on cardstock, so it should be sturdy. 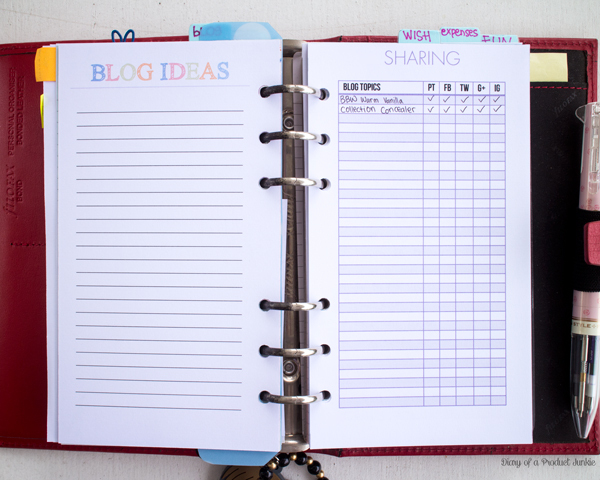 In this section, I have printed out my own inserts consisting of blog ideas, sharing & social media, and review list. The tasks are from the first inserts I printed, which will be replaced with review list. 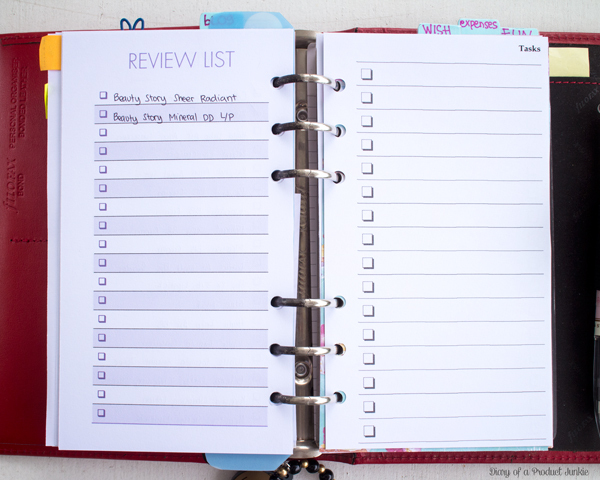 This way I can keep track of the things I have yet to review and share with you. In order to keep up with my daily spending, I created the Expenses section. I printed an envelope template from My Life All in One Place on a piece of scrapbook paper to keep all the receipts. I am currently recording some of the things we are spending often. 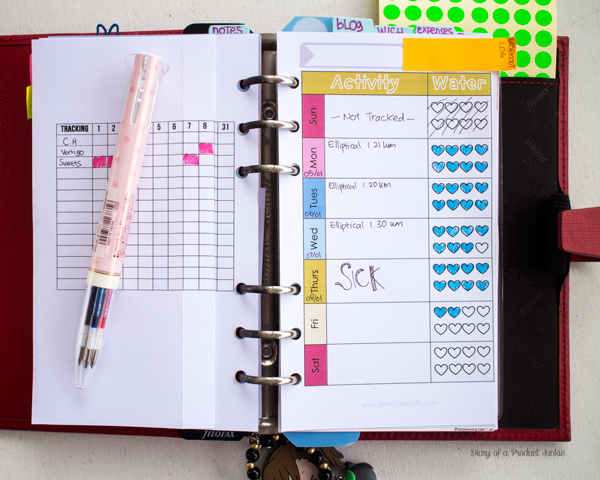 I also included trackers that will help monitor my water intake as well as other things. I printed the water tracker from Jennuine Crafts. As for the fold out tracker sheet, it's just for my vertigo episodes and such. I usually use an app on my phone, but it likes to freeze, so I recorded it here. Ah, me too. 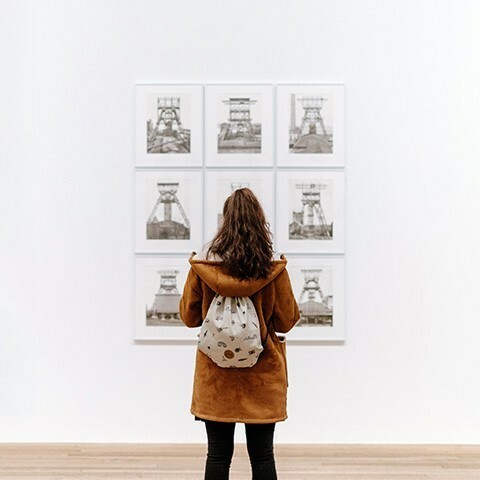 Belakangan ini timeline IG & Pinterestku isinya Journaling semua. 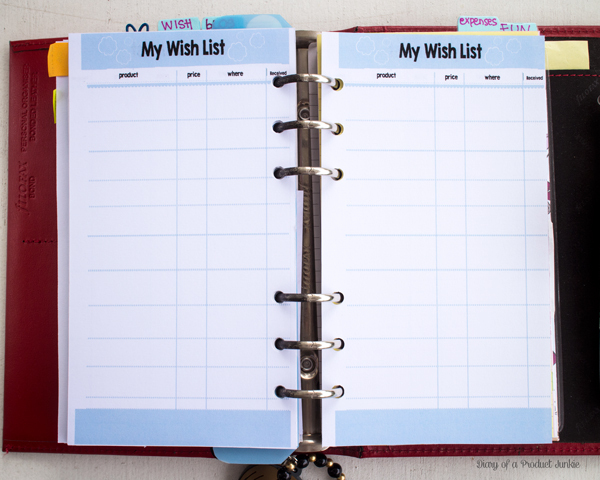 Pengen beli yg Erin Condren, but way too expensive.T.T $50 belom shippingnya. Hiks. Btw, kl beli washi tapes biasa dimana ci? Selain scoop. 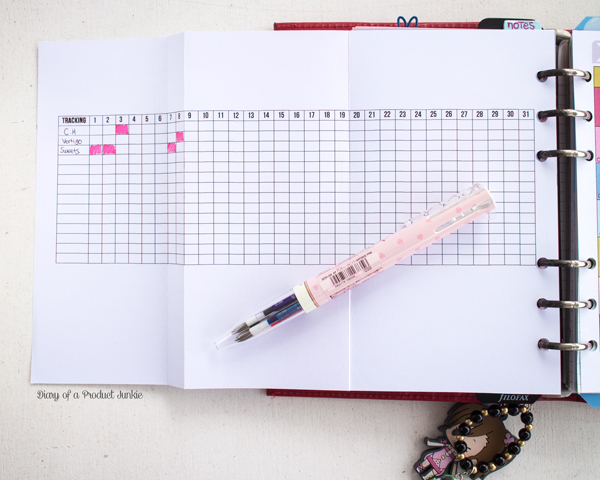 thanks for sharing ci ^^ aku jg lagi bikin planner inserts hehe, belum selesai sih. Weh, kok aneh gt plannernya ga bisa buka 180 derajat? Yang berapa ring? wahhh ga nyangka planner nya bs jd semenarik ini ce,..
slama ini ga beli karena merasa dalemnya terlalu plain hihi..